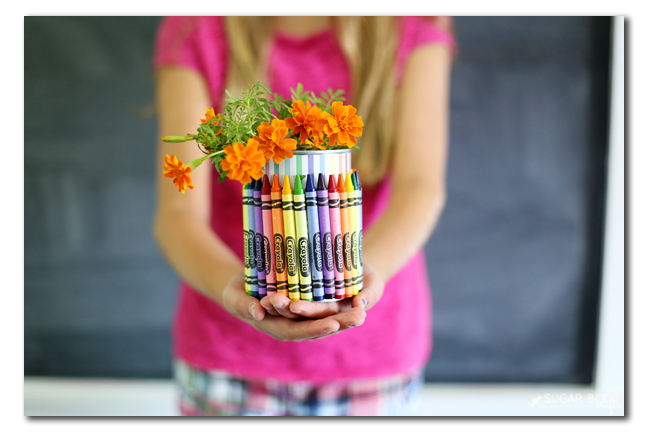 It's that time of year. 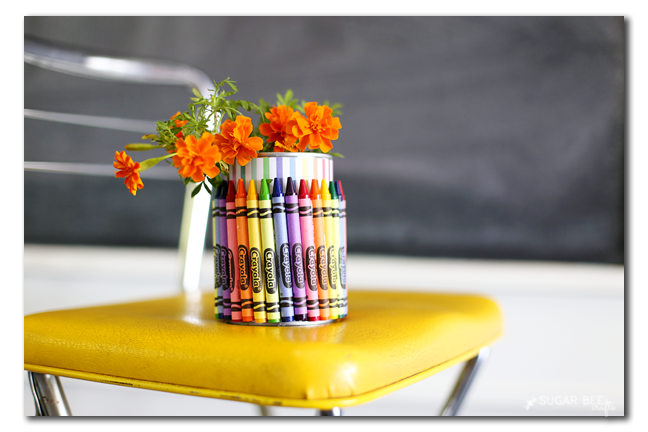 Back to school season is in full force! 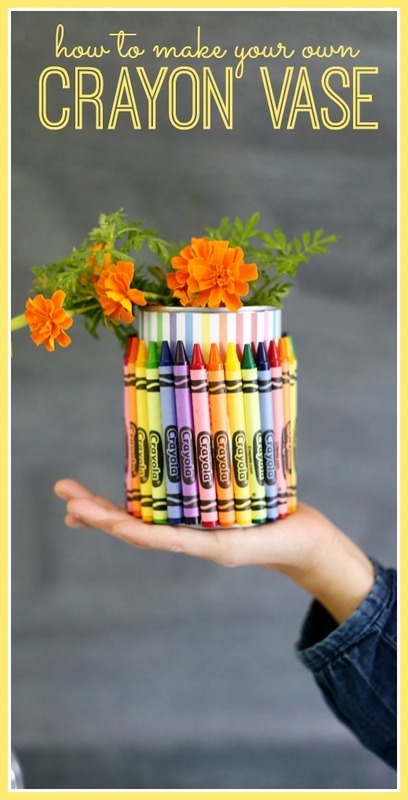 Be sure to have the kiddos make a fun gift for their new teacher. 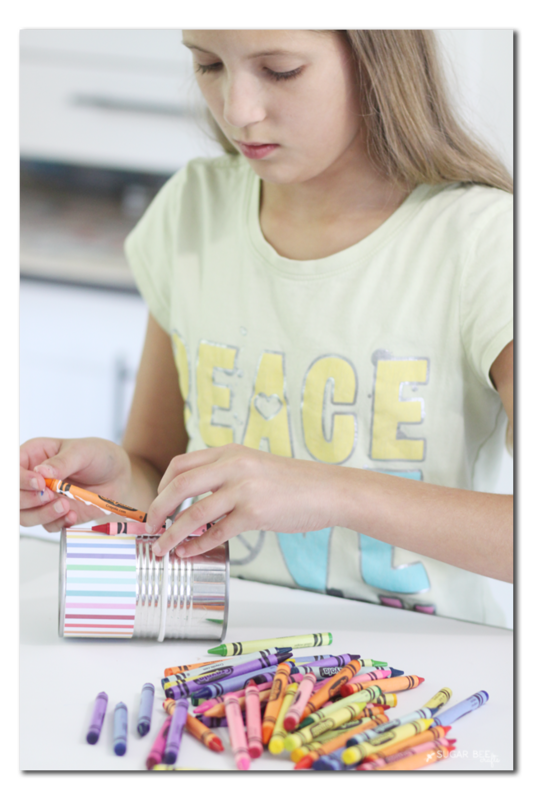 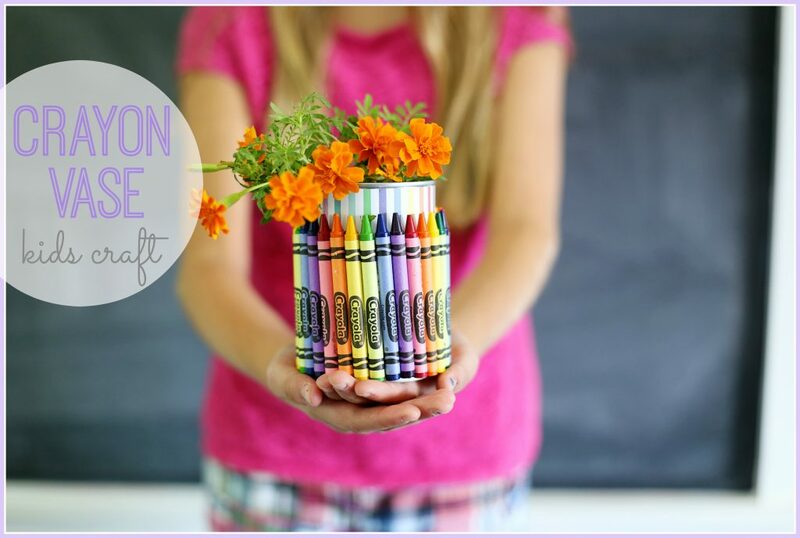 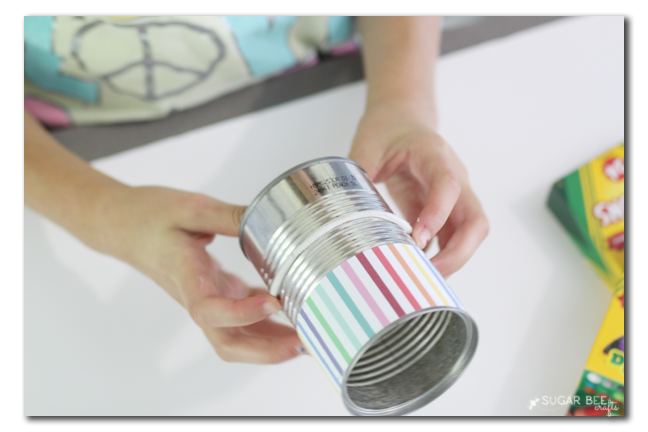 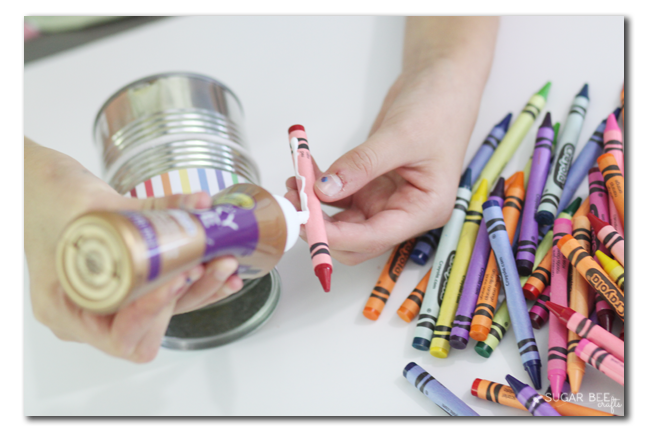 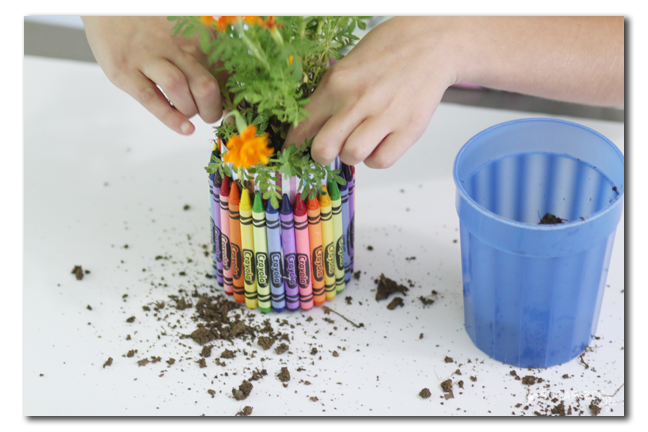 One idea is this Crayon vase - they'll love making and giving it! 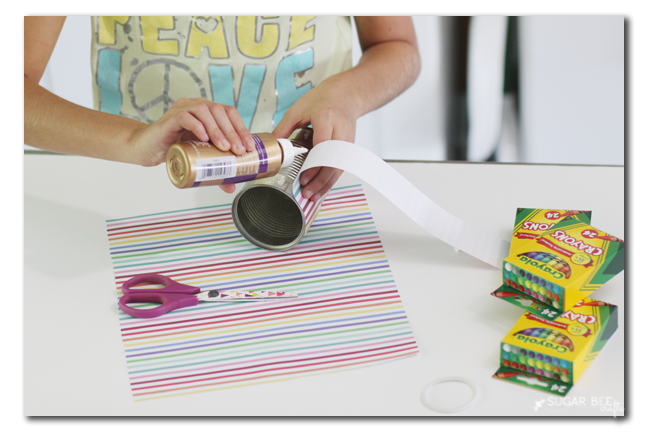 First, cut a strip of paper and glue it around the top of the can. 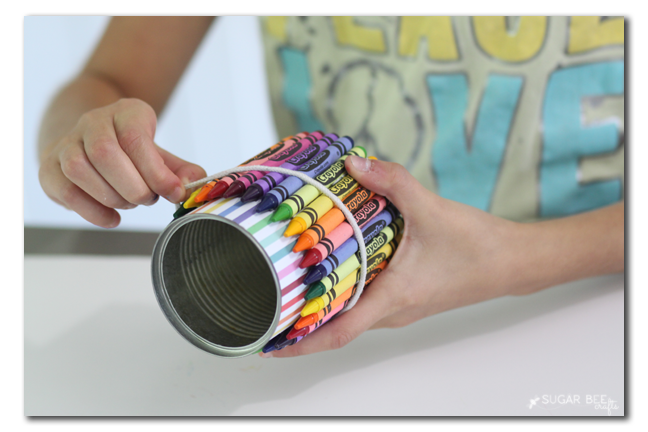 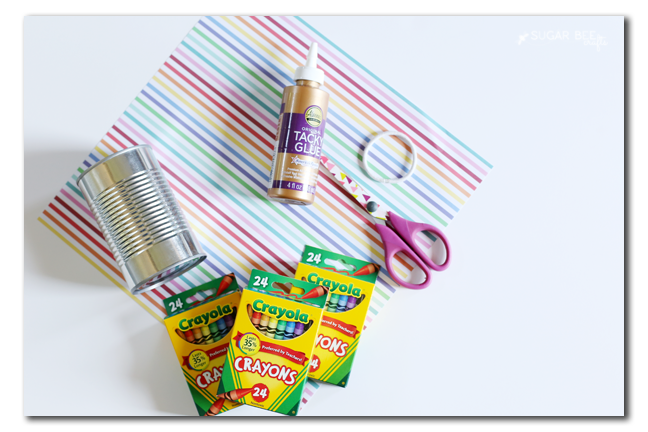 It will need to be wide enough to cover the space that the crayons won't cover on the can. 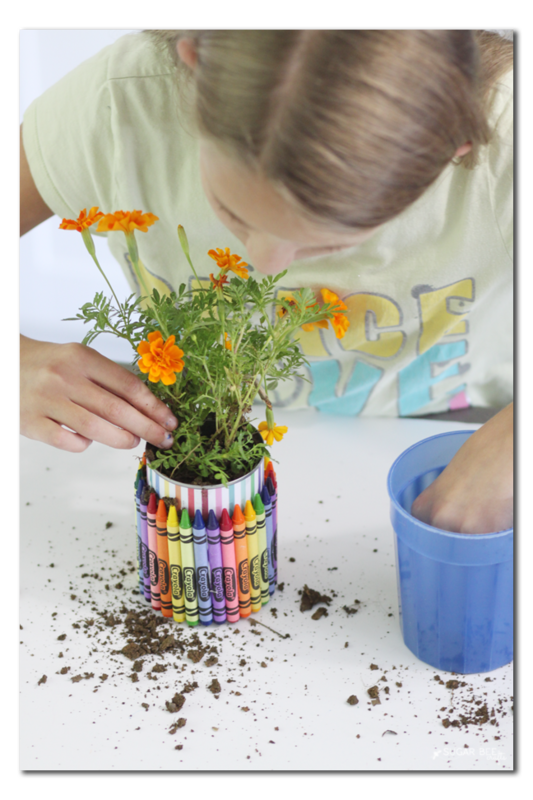 Fill the vase with a plant, cut flowers or even favorite candies.